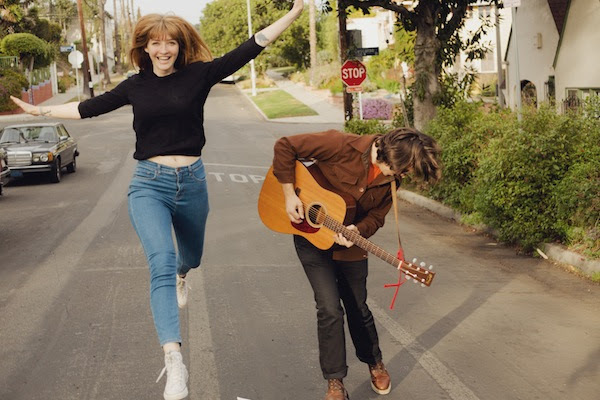 Not only does La Sera have a new record coming out, but the band, primarily the work of Katy Goodman, now has a new sound, courtesy of her husband, Todd Wisenbaker. On this single, we get a perfect view of the dynamic between the two as they trade choruses back and forth. Musically, the band seem to have removed some of the more punk-influenced riffs in favor of a broader, more classic sound; it’s feels like an old school MTV hit to me. The new LP, Music for Listening to Music To, will be released by Polyvinyl Records on March 4th. The kids these days seem intent on putting v’s in place of other letters that aren’t v’s. 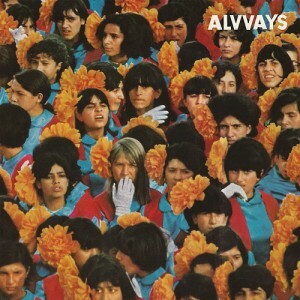 While I don’t really understand this phenomenon, I can get behind the jangly indie pop tunes that Toronto band Alvvays have collected and put together on this release. A nice blend of sunny summer sounding songs coupled with Molly Rankin’s sugary and youthful vocals are sure to get you on board with this bound to be buzz band. This album starts with the two singles that the group has already presented to the public, but these are just the beginning. “Adult Diversion” gets things rolling with dueling guitar parts that interact with each other, bouncing off the different riffs. The drums are choppy and concise, though fuzzy in their recorded quality, almost as if recorded in a different room. At first it gives out this surf rock vibe, and then Rankin’s voice joins the mix and gives it that vaguely 1950’s girl band sound. Her voice mimics the guitar patterns for the choral hook, and is joined by other members of the band for the build to the chorus; it’s a playful vocal part, but not quite as playful as observed on the next track. “Archie, Marry Me,” is one of the catchiest songs you’ll find on the album, immediately pulling you into the Alvvays light if the first track didn’t. Rankin pushes her voice all over the place through the song, giving the sound that will have it stuck on repeat in your head all day. Later on you get deeper into the album, with tunes like “Party Police,” and “Atop a Cake,” that keep it groovy, but also have viable narratives to follow and interest you in addition to the instrumentation. 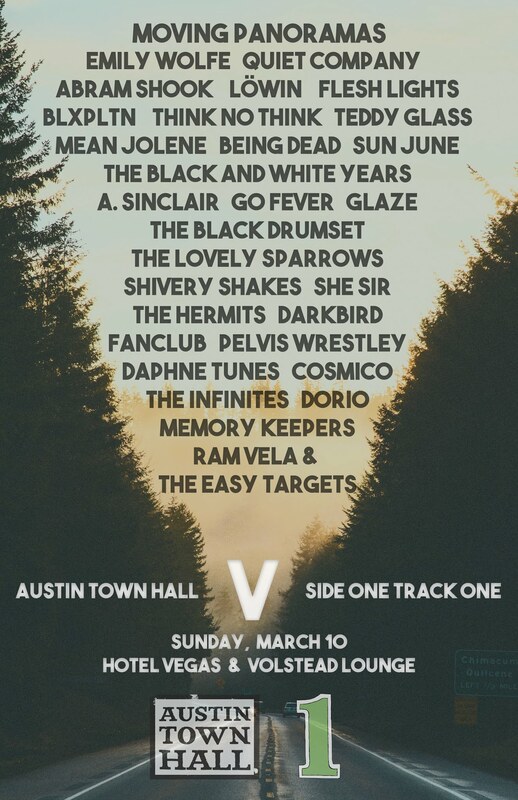 Personally, I can’t help but notice the similarities in between this band and groups like La Sera and Best Coast though with a twist of garage rock that gives it a heavier sound than either of these groups presents. “Party Police” has this melancholic vibe to it, the pleading in the vocals give it a sound of sincerity and also a deep sadness that permeates the whole song and steps the album down to a personal level. At only nine songs in length, this self-titled album is short and sweet, albeit not too much of either of these traits. Often, it seems hard for bands like this one to strike a balance between their genre of golden indie pop and detailed songwriting, but Alvvays have blended these two qualities quite well. These nine tracks make for great company while you’re trying to shake it in the summer heat, but the softer and more delicate numbers and the refined lyrics have all the makings of longevity. 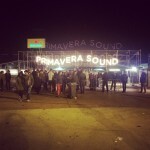 I’ve had a few days to recuperate from the fest that doesn’t sleep and have gathered my thoughts on the sets from Friday and Saturday of Primavera. Read on for highlights and some comments about Parc Del Forúm and the festival itself in case you’re thinking Barcelona is on your music festival horizon. 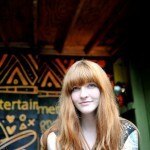 It’s been a while since Katy Goodman stepped away from Vivian Girls and out on her own with La Sera. Her last full-length effort, See The Light, came out roughly two years ago and showed a lot of growth for the band and their sound. 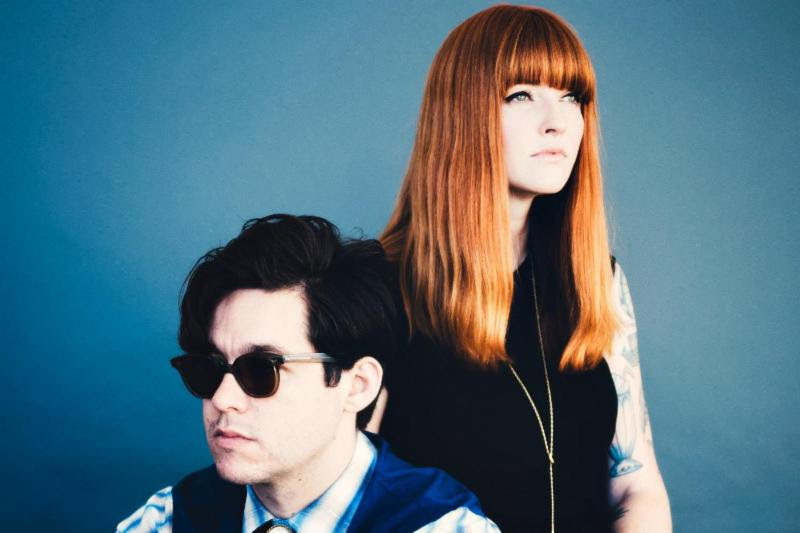 Now they’re back with album number three, which seems like an overall step in the edgier direction; the jangly pop is now straight rock and roll, harkening back to the original direction that La Sera began with. “Losing To The Dark,” is the cold open for the album, with squalling feedback entering your ears first and foremost. This changes to some guttural sounding guitar and rapid percussion that gives the song a constant driving beat. Then Katy joins in with her sultry du-wop esque vocals and tops the song off. This track is a nice little introduction whose lingering guitars drive you to charge ahead into the album.What seems to be pretty commonplace now for Goodman and company is crafting catchy songs that adhere to the lo-fi and feminine vocal rock. “Fall in Place” is no exception to this, and the percussion on this song will have you tapping along to the beat and rocking out to the surfy guitars making their way through the percussion. While song length isn’t necessarily an indication of merit, when you listen to the album, you can definitely get a taste of the different texture that the transitioning lengths of songs gives to the album. 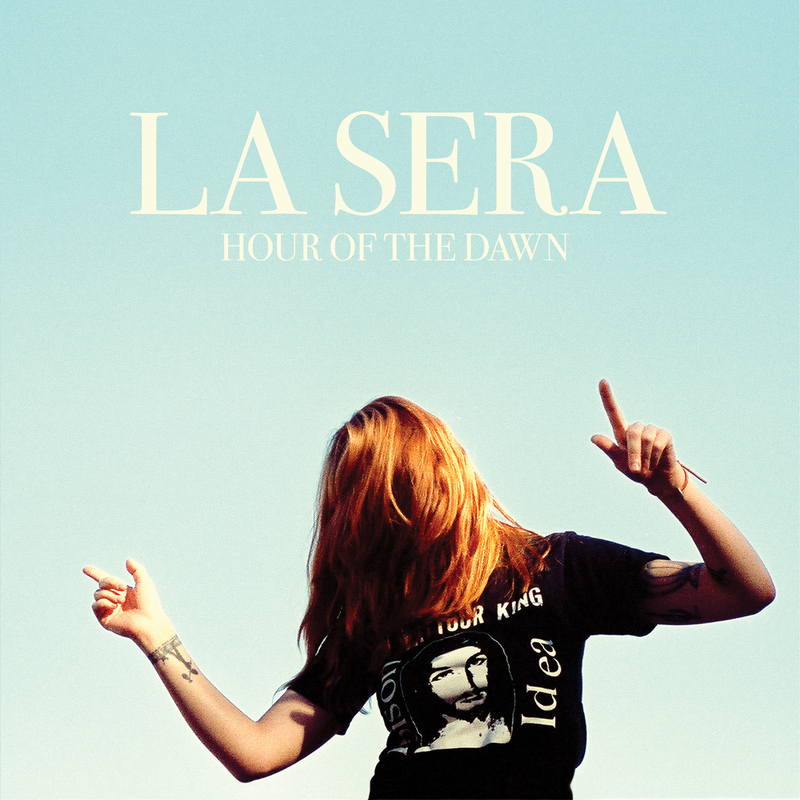 Whereas some albums of this genre come across as a little sloppy in that most of the songs are of equal length and get a little lost in the shuffle, La Sera have obviously put a little extra in time and effort into the timing of the album. At the end of the album you feel fairly satisfied with the level of rock intricate guitar patterns that pervade most songs. While I have found some new catchy tunes to have a place in my listening rotation, it’s easy to get a little weighted down by them at instances in the album. The vocals and the guitars blend together in these instances to become a little too angular. However, this doesn’t completely weigh down Hour Of The Dawn, which has some great tracks to stumble upon. We’ve definitely got to get you into this new La Sera track. Now that Vivian Girls are over, Katy can spend her time concentrating on her other project, and this song is an indicator that she’s definitely spent that time well. This latest single from her forthcoming record has her sounding in complete control of her songwriting craft; there’s a soloing guitar, crashing cymbals, and, of course, her intoxicating vocal performance. It’s just another reason that we’re expecting great things from Hour of the Dawn when it’s released by Hardly Art on May 13th. After news of the finality of Vivian Girls, it would only make sense that Katy Goodman and her project, La Sera, would get more of a focus. She leaked news via a Youtube clip earlier in the week, and now we get our first full listen to one of the tracks. It’s definitely a more rock n’ roll approach, which fits with Goodman’s known adoration of classic West Coast punk like Black Flag and the Wipers. After hearing this track, we’re completely giddy in anticpation of her new record, Hour of the Dawn. It’ll see a release of May 13th via the good folks at Hardly Art. What? You want danceable rock n’ roll? 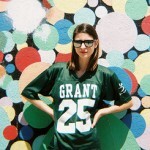 Well, then Colleen Green is going to give it to you. On her first single for Hardly Art she’s offering up gritty guitar tracks backed by pulsating synth beats. Her voice is hazily haunting in the background, leaving listeners with an endearing pop song that you’ll likely want to include on your next digi-mix. She’ll be dropping Sock It To Me on March 19th via the aforementioned label, who’ve yet to put out a bad record in their tenure. 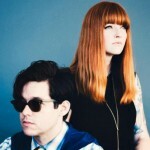 Fans of La Sera and Best Coast will surely find themselves attracted to this tune, as well as just about everyone else. You can’t argue with a hit. 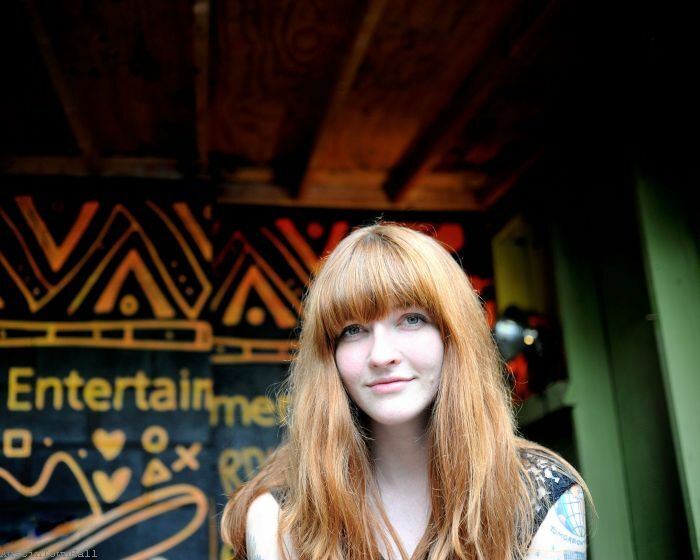 In 2011, Katy Goodman stepped away from the Vivian Girls and made her first record under this new moniker. That album was the essence of a dream, with echoes upon echoes of vocals layered on ethereal pop instrumental in the background. A lot must have changed since then; relationships broken, new attitudes adopted, and an overall new sound for La Sera on Sees the Light, a sound which goes in a bold, good, direction. From the very start of the album you can pick up on the new changes for the band. If it’s any indication of a change, the first track on the self titled release of last year was “Beating Heart,” whereas Sees the Light begins with “Love That’s Gone,” and we have the new, bitter and resolved Katy Goodman. Instantly you can hear this change in the music: the dreamy washes of echo on the vocals are gone, the drums are more centralized, giving a real and solid feel to the song. It’s as if the honeymoon period of dreams is over and what’s left is a woman scorned, trying to move away from the gay melodies of yesterday. After the first song gets things going on Sees the Light, the second song, “Please Be My Third Eye,” takes it up a notch, increasing the pace and the level of intensity; the drums are always pushing, the guitars are guttural, and Goodman commands the song, pushing it around to show her strength. This strength continues on through the next few songs, and then enters into a more reserved state on “It’s Over Now,” which is the first real breakdown on the album. The placement of this slower, more morose song this far along into the progression of tracks helps to convey some emotion that is perhaps lost on the faster songs; Goodman doesn’t ignore the pain completely, she just channels it in different ways. 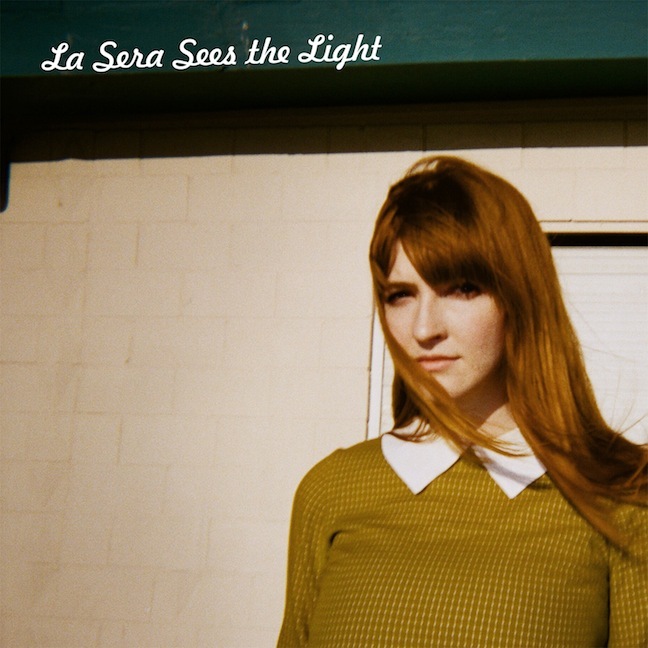 Essentially, it’s a break-up album, but whereas most of those tend to linger on the whiny, sorrow-filled, my heart was broken-listen-to-me cry-about-it, songs, La Sera focuses on channeling this sorrow into faster paced, bolder, and overall stronger pop tunes. It’s not a step to weakness, but rather a step away from it, and a focus on the strength that has always lied behind those spunky, girlish vocals. The emergence of this lingering power is what separate Sees the Light from the previous album and allows it to stand as a cohesive album as opposed to a series of cute songs strung together.